Amy Rosenthal is a certified EMDR psychotherapist and consultant and is a facilitator for the Parnell Institute’s EMDR trainings. She provides individual and group consultation. 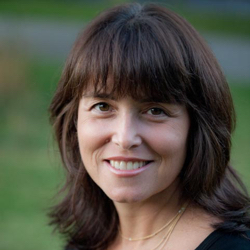 Amy is in private practice in New York City and has been practicing psychotherapy for over 20 years. She is also a certified psychoanalyst and has been trained in Internal Family Systems Therapy (IFS). She specializes in working with adults with developmental trauma and PTSD, from early childhood to present, along with relationship struggles, anxiety, depression and dissociative disorders. She also is a supervisor for the National Institute for Psychotherapies (NIP) Trauma Treatment Service.